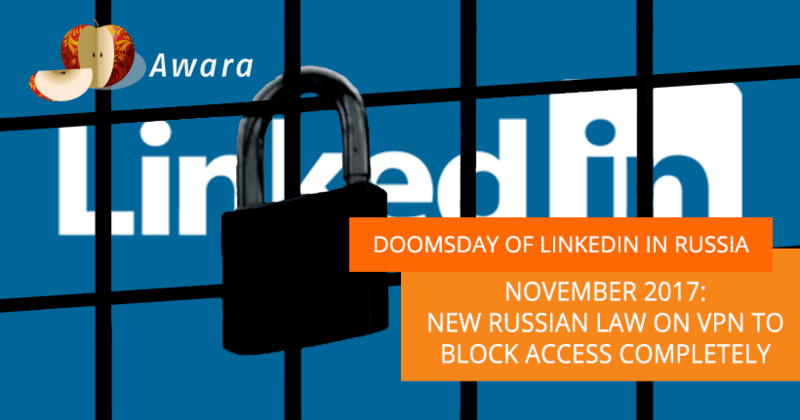 Will November 1, 2017 be the Doomsday of Linkedin in Russia? What are the main alternatives of this social network? For all the years of its existence in Russia, Linkedin did not reach a higher popularity than famous Russian job portals like Headhunter, Superjob, Rabota.ru, and others. However, it still has a large professional audience in Russia. First, it provided a better alternative to a physical address book, to keep track of your most valuable business contacts. All important contacts were available with a click on your laptop or a slight touch on your smartphone, making it possible to conduct quick searches by company name or person’s name and giving you full information about the desired contact. But Linkedin goes further than that. It is a valuable pool for potential job candidates greatly enjoyed by recruiters. Even our headhunters at Awara use it among other methods for direct search, and in terms of social media platforms, Linkedin seems a challenge to be replaced. Linkedin is not only a platform for sharing your CV – it is used for networking, sales, marketing, exchange of ideas, and discussing personal and professional topics. Here you find people established in their careers, rather than notorious job hoppers or constantly unemployed underperformers. Moreover, the Linkedin network is constantly growing: most people frequently update their professional information on their profile pages. With its popularity, it leaves Russians to hope that Linkedin will not abandon this highly interesting social media market. With the change of law in Russia on storage of personal data of Russian citizens, which must be done on servers physically located on the territory of the Russian Federation, Linkedin has failed to comply from the very beginning. After many attempts of the Russian authorities to limit its use and access in Russia, which so far has been by-passed by most users using VPN connections, the new measure starting from November 1, 2017 will finally close the last backdoor for users to log onto the site. We at Awara are constantly checking updates on this topic and so far we see that Linkedin still doesn’t have any plans to comply with Russian law to arrange the storage of personal data of Russian users on servers within the country. Time is running out, with the new law on VPN connections coming into force starting from November 1, 2017. Russia maintains a centralized internet blacklist, known as the “Single register of domain names, indexes of site pages in the information and telecommunication network “Internet”, providing information and dissemination which are prohibited in Russia”. At the same time, there are plenty of VPN services and anonymizers that allow by-passing this ban and grant access to the blocked websites. Needless to say, Russian state authorities are not especially happy with the existence of this loophole. That is why another law was passed on July 21, 2017 by the State Duma, ensuring that prohibited websites will not be accessible. (Later the law was approved by the Federation Council and signed by the President). In short: VPNs and anonymizers themselves will not be banned, however, the owners of these services must exclude access to prohibited Internet resources in Russia – otherwise they will also be blocked. Being officially inaccessible in Russia since November 2016, Linkedin is currently at risk of losing its remaining Russian audience, who so far has continued using the network via VPNs and anonymizers. Russians who use the network for sales activities, marketing, recruiting, or job search should start to think about finding an alternative. We hope that Linkedin will eventually comply with Russian legislation and come back online. Nevertheless, we thought about decent professional networks to replace it if the ban is permanent. We researched and analyzed 11 social platforms with opportunities for online networking and career development, similar to Linkedin and divided them into categories ranging from least to most potential alternatives. Updated 31.10.2017. There are still no news from LinkedIn on its comeback to Russia. Meanwhile Roskomnadzor is very serious about the upcoming law: they created a new department which is responsible for researching and improvement of methods of web-resources blocking. Moreover, specialists at Roskomnadzor together with such IT giants as Kaspersky Lab, Opera Software, Mail.ru, and Yandex tested a new system of collaboration in blocking of prohibited websites. However, some VPN-services are skeptical about the threat of being blocked for noncompliance with the new law. We expect to see the first results of this standoff during the beginning of December. According to our analysis, the following websites have the highest chances of attracting the Russian Linkedin audience. Xing is a Linkedin alternative popular in German speaking countries. Right on the sign-up page, it states that the user will have access to interesting business contacts and latest news from relevant industries. The interface is translated into 7 languages, including Russian. The social network currently has an audience of about 12m users, and most are from German-speaking countries. Although we were not able to verify the exact number of Russian users, the network claims that there are more than 10,000 of them. Xing could be the most likely Linkedin replacement. Currently though, there haven’t been any announcements confirming that it is going to comply with Russian personal data law either. This means that Xing could face a similar fate as Linkedin in Russia, the more it becomes popular with the Russian audience. This portal has an audience of more than 300,000 users who are mostly Russians. Known for a great amount of publications on management, marketing, finance, education and career development topics, most of the members are middle and top managers, thus making the website also very attractive for executive search recruiters. Executive.ru doesn’t have an English version or a mobile app, which could potentially make the platform less interesting and user friendly for some potential members. Functionality and use of this website is very similar to LinkedIn. It also features professional communities, corporate pages, and vacancies, and there are nearly 6.6m registered members in this network. However, there is no data on how many of them are real active users. Meanwhile, some potential users will not like the fact that this professional network has neither an English version nor a mobile app for iOS or Android. Another downside is the less attractive interface design in comparison with Xing and Executive.ru. Myco is a young but very promising Russian-Ukrainian startup. Currently, the website reminds one of a digital business cards holder rather than a social network. It appears to be very useful for keeping and sourcing business contacts, but it has functional limits. There are corporate pages, employees’ cards, events, and that is about it. A huge part of the interface is taken up by users’ map. On the other hand, it is possible to fill in your profile with a lot of useful information: job title, professional skills, education, track records, language skills, and of course contact details. It also offers an import function of data from LinkedIn. The main thing that makes this project special is the Myco Wrist Band. Just a handshake and your companion is automatically added to your contact list. Meanwhile, there is room for improvement. We experienced several problems with the search function and communication, but we think that such bugs will be fixed eventually. Moreover, the network is not so popular among users right now; however this might change rapidly come November 2017. Myco’s creators are likely to spend more resources on advertising to increase its user database. The following websites realistically have the potential to compete with LinkedIn but require some major updates and improvements. Starting from February, 2017, the world’s largest social network extended its function. Facebook announced that users based in the USA and Canada have the option to post vacancies and receive candidates’ responses directly through Facebook. All the vacancies posted in this social network can be found on a separate page. If Facebook succeeds in actively encouraging users to share more information about their professional life and work experience, education, skills, and honors, it has a fair chance to successfully compete with LinkedIn. The vacancies feature is not yet available in Russia, but once introduced, it might attract more attention from recruiters. Based on statistics, Facebook’s Russian audience amounts to 14.4m users in total (6m Russians log in on a daily basis) as of April, 2016. We want to note that Facebook, just like LinkedIn, doesn’t follow the requirement to localize the processing of personal data of Russian citizens. Currently Facebook’s negotiations with Roskomnadzor (The Federal Service for Supervision of Communications, Information Technology, and Mass Media) are still ongoing. Facebook was supposed to meet with Alexander Zharov (Head of Roskomnadzor) this summer, but there are currently no known details on the results of this meeting. Updated 26.09.2017: If Facebook doesn’t transfer database with personal data to Russian servers in 2018 – the network will suffer the fate of LinkedIn. Here are official comments from Roskomnadzor. Updated 10.04.2018: In the middle of March, 2018 Rostrud (the Federal Service for Labor and Employment of Russia) opened access to Skillsnet – a Russian alternative to LinkedIn. As it was expected, the new social network has familiar profile pages (with data on education, experience, professional skills, and achievements), professional communities and business pages. There is already about 22.5 thousands members as of April 10, 2018. Currently there’s no Jobs section on the website – only internships. 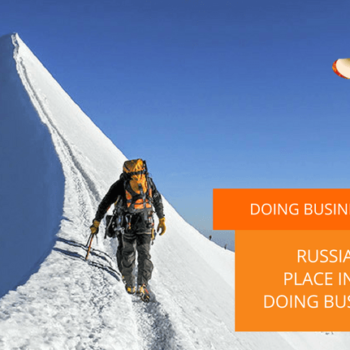 If you want find jobs or post a job ad you have to use the other Rostrud’s website “Work in Russia“. Another limitation is that you can’t create a company page directly in Skillsnet – to do this you need to register your organization on “Work in Russia” website (after this your organization can be imported to Skillsnet). Besides, it is not possible to add several administrators/editors to your company page in Skillsnet. Beautiful link previews which are common for the majority of social platforms is nowhere to be seen yet: Skillsnet doesn’t scrap a picture, title and description from your URL when you publish a post, but that is not a main problem. A serious drawback is that the system doesn’t allow to edit or at least to delete a published post. For better or worse, there is currently no advertising opportunities in the young social network. Viadeo, the second largest professional network after LinkedIn, decided to leave Russian market before their website is blocked. Last summer Viadeo’s owners started with the liquidation of their Russian representative office and restricted access to the website and mobile apps for users within the territory of Russia. Currently there is no news on Viadeo’s plans to return to Russia. Contrary to popular opinion, we think that the following networks don’t have the potential to replace Linkedin. Despite the fact that sumry.me allows users to import their data from LinkedIn, this website should be considered only for building CVs, but not as a social network. No matter what plans the owners of this website may have, currently Youca has no chance to compete with LinkedIn. It looks like an internal corporate portal with functions like CRM, Task Manager, and similar features, rather than a professional social network. VK.com, the most popular Russian social media site, does not spend much effort on offering job search or recruitment functionalities. If you want to publish vacancies on your corporate page, you have to install a specific application, and there is no separate page containing all published job offers. There was a time when Moi Krug was a social media website with members from various spheres. But in 2015, when the web service was bought by TechMedia, which owns several IT-oriented portals such as Habrahabr.ru and Geektimes.ru, the accent was changed to informational technologies. Since that time, moikrug.ru has become a recruitment portal for IT specialists. We doubt that Moi Krug will decide to start rebranding and return to the original format. Comments on Will November 1, 2017 be the Doomsday of Linkedin in Russia? What are the main alternatives of this social network?